Program #MAAW001. Recorded in Boulder, CO on October 2, 1990. The Greenbelt Movement of Kenya is an indigenous, grassroots environmental campaign with tree planting as its basic activity. Although its objectives are many and varied, the tree has been used as a focal point around which other environmental issues are discussed and brought to the attention of the public and decision makers. 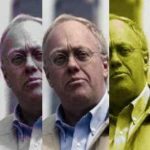 Interview by David Barsamian. 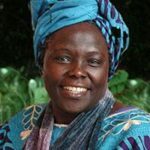 Wangari Maathai was a Kenyan environmental and political activist. In the 1970s, Maathai founded the Greenbelt Movement, an environmental non-governmental organization focused on the planting of trees, environmental conservation, and women’s rights. In 1986, she was awarded the Right Livelihood Award, and in 2004, she became the first African woman to receive the Nobel Peace Prize for “her contribution to sustainable development, democracy and peace.” She died in 2011.